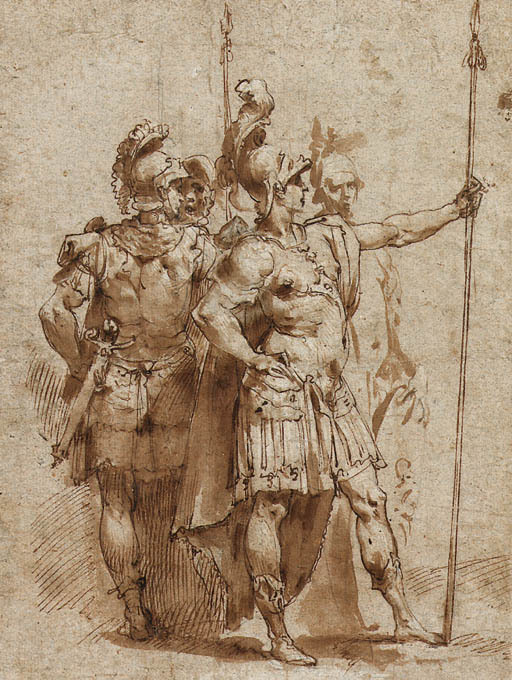 Similar in composition to two drawings from the Louvre and Zurich, Roma, Palazzo Venezia, Il Cavalier D'arpino, exhib. cat., 1973, respectively, nos. 132 and 133.